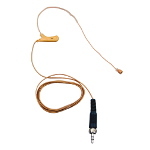 Condenser/omnidirectional, 40" cord w/12-ft. extension. 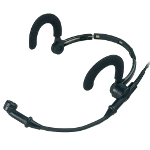 Rugged, moisture-resistant construction designed for aerobics instruction and other demanding applications. 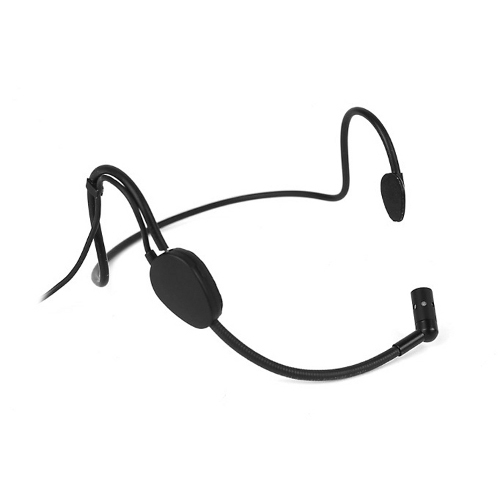 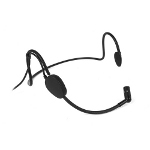 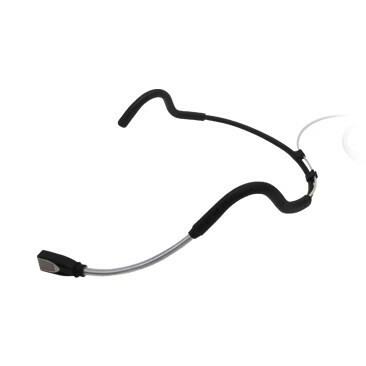 Noise-cancelling condenser headworn microphone includes comfortable, unobtrusive headband, windscreen and cable clip. Requires 9VDC phantom power (supplied by ‘Condenser’ jack on S805A or the body-pack transmitter included in SW805A-based systems). 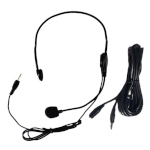 Requires Matched Frequency AmpliVox VHF Receiver and Amplifier to be used wirelessly.